Most Americans are terrified of riding in autonomous vehicles, according to a new survey released by AAA. And rather than getting more comfortable with the futuristic technology, people are becoming more afraid. According to the new survey, a whopping 71 per cent of Americans say that they’re afraid to ride in a self-driving car, up from 63 per cent who said the same thing in late 2017. AAA speculates that there’s a very obvious reason why the fear of self-driving cars may be going up: Autonomous vehicle technology is starting to kill people. In one high-profile case, an Uber self-driving car struck and killed a woman in Arizona on March 18, 2018. A judge recently ruled that Uber wasn’t criminally liable in the incident. Later in that same month a driver who had his Tesla on “autopilot” was killed in Mountain View, California. And those headlines are probably having an impact on how we all look at the coming revolution in robot-cars. Americans are more comfortable when they imagine themselves inside self-driving vehicles in low-speed situations at theme parks and airports — 53 per cent of Americans say they’re comfortable with that. And 44 per cent of Americans say that they’re comfortable with self-driving vehicles being used for delivery of food and packages. But those are much more familiar situations to those of us here in the early 21st century than actually being the passenger in an autonomous car. Interestingly, people seemed to be getting slightly more comfortable with the idea of getting into a driverless car until this most recent survey. Roughly 78 per cent of Americans said that they were afraid to ride in a self-driving car in early 2017, but that went down to just 63 per cent in late 2017, indicating that attitudes were softening. As AAA notes, roughly 55 per cent of Americans believe that most cars on the road will be autonomous by 2029. But many Americans say that the year 2029 is probably too soon. 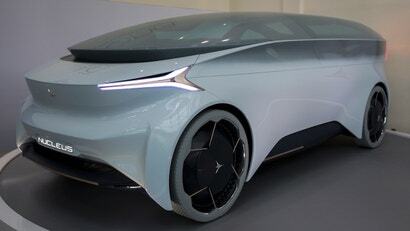 Those who are sceptical that fully self-driving cars will arrive that soon, cite reasons such as lack of trust, not wanting to give up driving, the technology won’t be ready and that road conditions will not be good enough to support the technology. While experts agree that a fully self-driving fleet is still decades away, it is likely that more highly automated vehicles will be on the roads in the coming years. The more drivers understand both the benefits and limitations of the technology that is currently available, AAA believes the more prepared and receptive they will be for the experience of riding in a fully automated vehicle when the time comes. We’ve been waiting on the self-driving car for decades now. There were Disney’s visions of “Magic Highways” in the 1950s, comic strip promises from the 1960s, and DARPA developed a driverless vehicle in the 1980s. The U.S. government even tried to make automated highways a reality in the 1990s. People were supposed to be playing board games on their way to work by now. But with almost 3 out of 4 Americans worried about getting inside of a driving car, attitudes will have to change before a massive change in transportation is allowed to happen. Waymo’s self-driving vehicles are even getting attacked in Arizona, according to news reports. Over 37,000 Americans die on U.S. roads every year, and obviously the vast majority of those deaths are with traditional cars. But robot drivers don’t have the luxury of messing up. We expect perfection from our robots, and when a couple of people die in a year due to automation, people get freaked out. If we’re going to die, we want to die from our own stupidity it would seem. Not some damn robot.